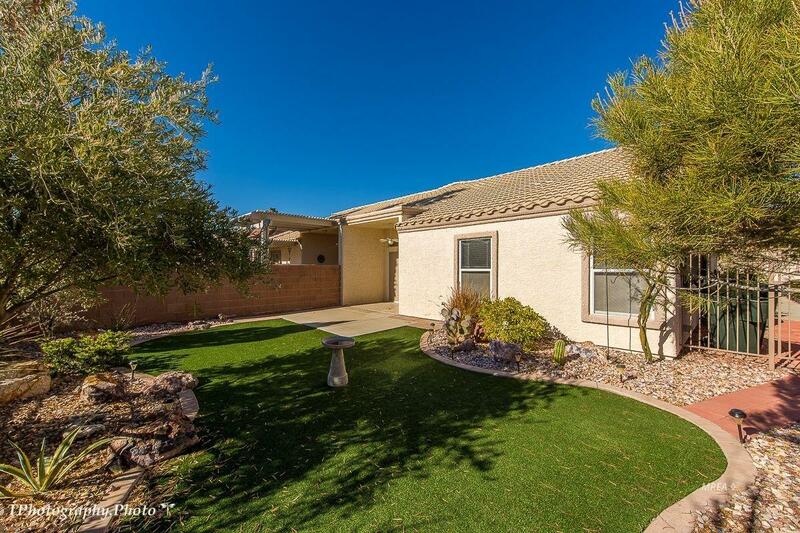 This desirable town home is located in Sunset Greens, one of Mesquite's most sought after, golf course communities. 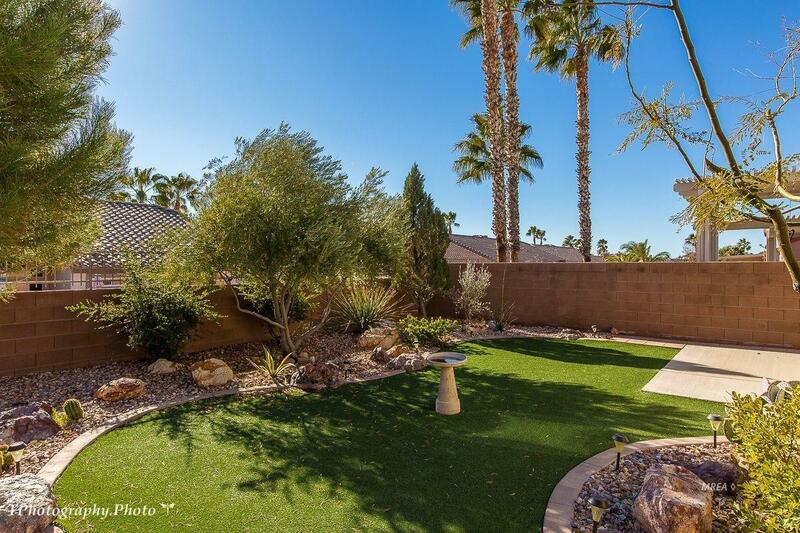 From the gated entrance to the lush, mature landscaping, the walkways and spacious parks, to the community pools and RV/boat parking, this neighborhood is ideal and low maintenance. The yard is surprisingly spacious and private and the southern orientation is exceptional for year round use of the covered patio. The floor plan is open and the bedrooms are on opposite ends of the home. The kitchen is large and has ample cabinets. The paint tones are neutral and the ceilings are vaulted. 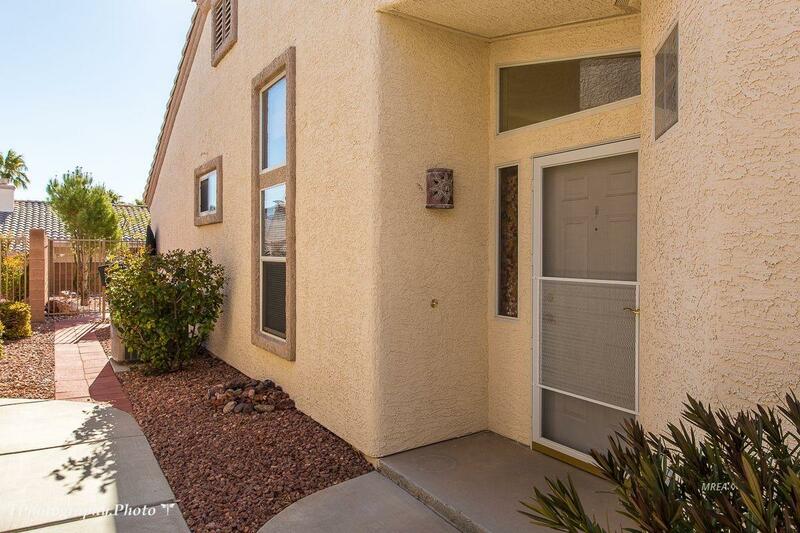 Large tile runs through the home and the bedrooms have carpet. The washer, dryer and refrigerator are included. Home ownership in Sunset Greens includes significant discounts on golf at the Casa Blanca Golf Course and Casa Blanca restaurants and Spa. 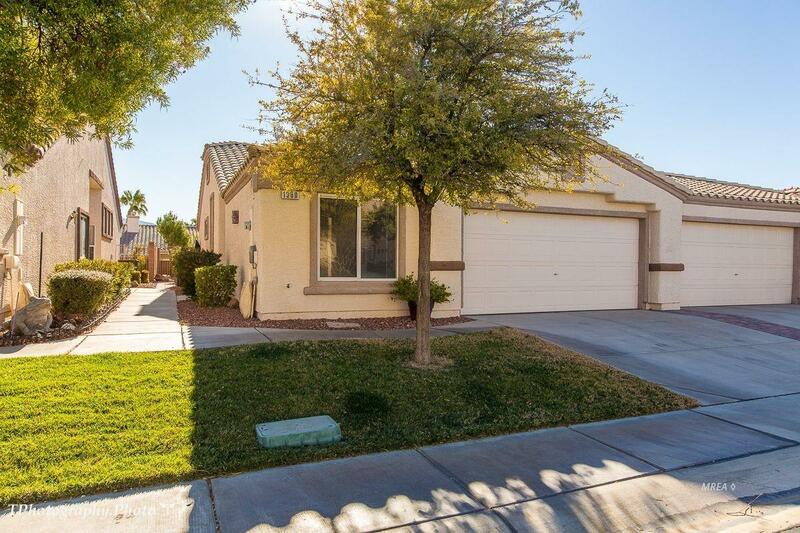 Exterior Features Curb & Gutter Fenced- Full Gated Community Landscape- Full Lawn Sprinklers- Drip System Sprinklers- Automatic Trees View Of Mountains Patio- Covered Swimming Pool- Assoc.